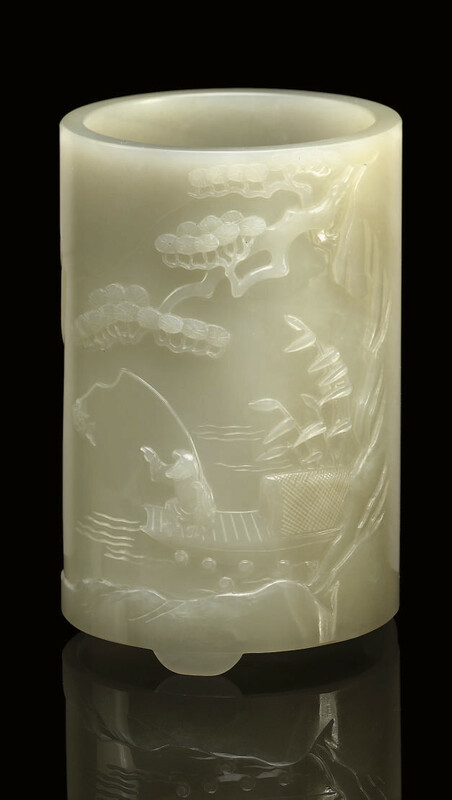 decorated in relief with a fisherman seated in a boat catching a fish, in a pine strewn mountainous landscape, the reverse with four lines of incised calligraphy, raised on three rounded supports -- 4 3/8in. (11.1cm.) high.